A storm front hit a hot air balloon festival in southeastern Wisconsin Saturday, injuring several people. WATERFORD, Wisc. 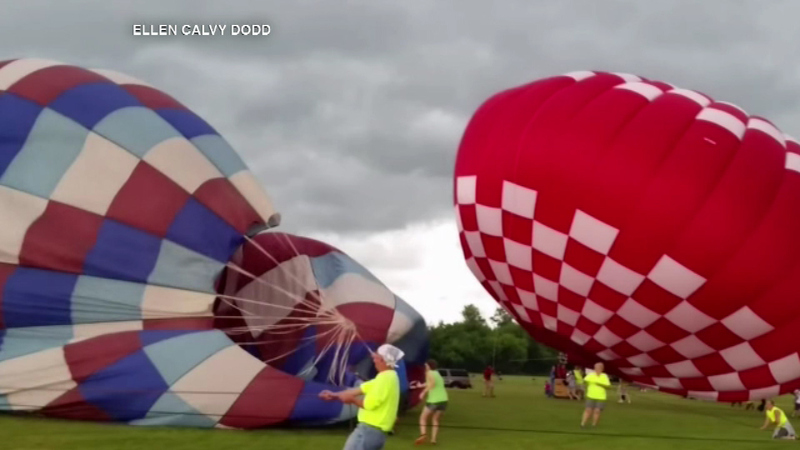 (WLS) -- A storm front hit a hot air balloon festival in southeastern Wisconsin Saturday, injuring several people. As high winds whipped up around 7:30 Saturday morning in Waterford, southwest of Milwaukee, workers tried to get control of two balloons that were tethered. One person was injured enough to go to the hospital, several others suffered scrapes and bruises. The red balloon was tied to an SUV that got dragged and crashed into a tent.